The Mid-Atlantic Ridge (MAR) is a mid-ocean ridge, a divergent tectonic plate boundary located along the floor of the Atlantic Ocean, and the longest mountain range in the world. It separates the Eurasian Plate and North American Plate in the North Atlantic, and the African Plate from the South American Plate in the South Atlantic. The Ridge extends from a junction with the Gakkel Ridge (Mid-Arctic Ridge) northeast of Greenland southward to the Bouvet Triple Junction in the South Atlantic. 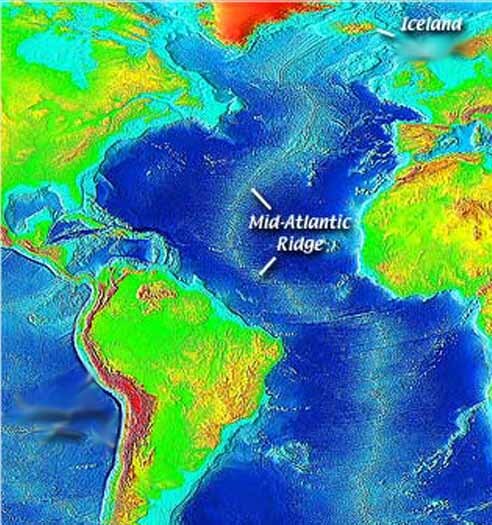 Although the Mid-Atlantic Ridge is mostly an underwater feature, portions of it have enough elevation to extend above sea level. The section of the ridge which includes the island of Iceland is also known as the Reykjanes Ridge. In the 1950s, mapping of the Earth's ocean floors by Bruce Heezen, Maurice Ewing, Marie Tharp and others revealed the Mid-Atlantic Ridge to have a strange bathymetry of valleys and ridges, with its central valley being seismologically active and the epicentre of many earthquakes. Ewing and Heezen discovered the ridge to be part of a 40,000-km-long essentially continuous system of mid-ocean ridges on the floors of all the Earth's oceans. The discovery of this worldwide ridge system led to the theory of seafloor spreading and general acceptance of Wegener's theory of continental drift and expansion as plate tectonics. This divergent boundary first formed in the Triassic period when a series of three-armed grabens coalesced on the supercontinent Pangaea to form the ridge. Usually only two arms of any given three-armed graben become part of a divergent plate boundary. 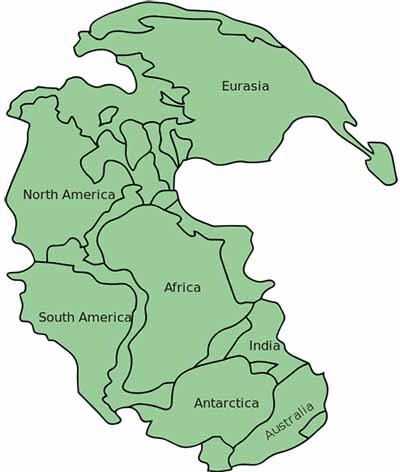 The failed arms are called aulacogens, and the aulacogens of the Mid-Atlantic Ridge eventually became many of the large river valleys seen along the Americas and Africa (including the Mississippi River, Amazon River and Niger River). The ridge is about 2,500 meters (8,200 ft) below sea level, while its flank is about 5,000 metres deeper. The Fundy Basin on the Atlantic coast of North America between New Brunswick and Nova Scotia in Canada is evidence of the ancestral Mid-Atlantic Ridge. 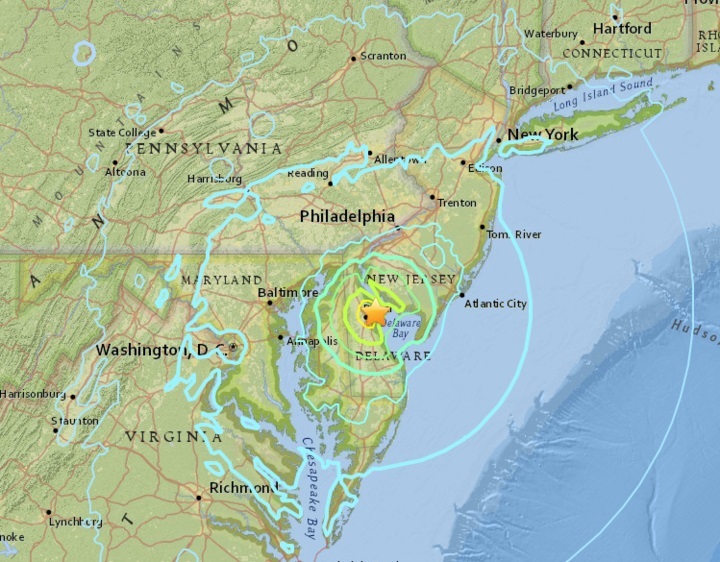 An earthquake measuring 6.2 on the Richter Scale struck northern Mid-Atlantic Range region. The quake hit at a depth of 10 km and took place at 7:57 pm, according to United States Geological Survey (USGS). No tsunami warning has been issued so far. The Mid-Atlantic Ridge is a mid-ocean ridge located along the floor of the Atlantic Ocean. In the North Atlantic, the ridge separates the Eurasian and North American plates, and in the South Atlantic, it separates the African and South American plates. At the end of another busy day, I was relaxing on my couch watching TV when suddenly I felt things shaking. In the way memories connect in the matrix of one's grid consciousness, my thoughts instantly went to the 2011 West Virginia earthquake that shook my area and apartment, but this time it didn't feel as powerful. 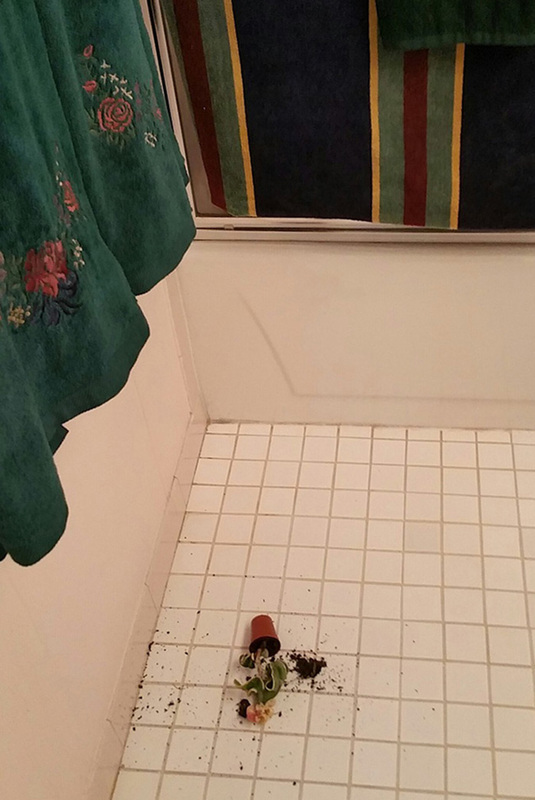 I rescued the plant, put it back on the shelf, and hope it will be okay. 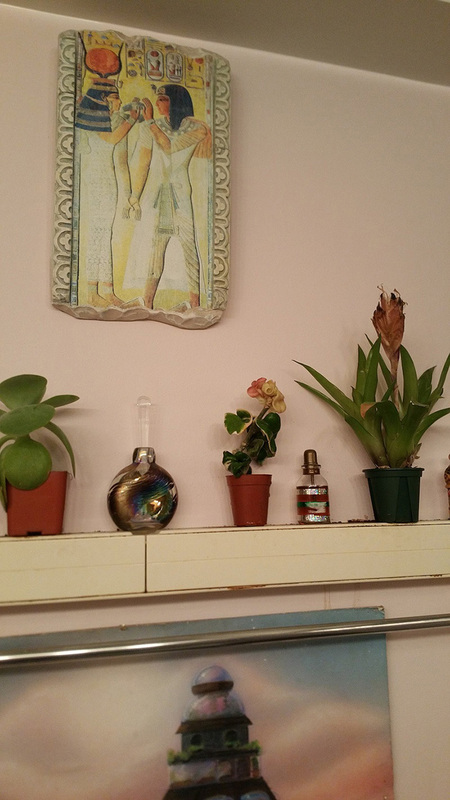 I always prepare my plants for earthquakes ... and they know. This little guy has lived here for years and should survive. 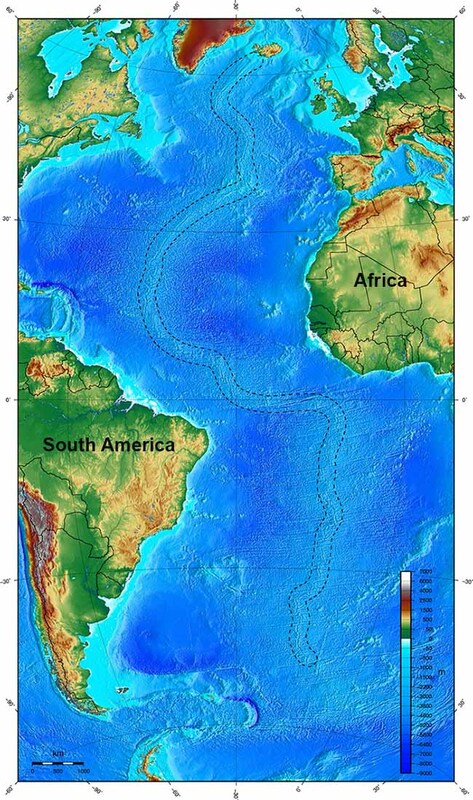 Let's segue to the Mid-Atlantic Ridge a mid-ocean ridge, a divergent tectonic plate or constructive plate boundary located along the floor of the Atlantic Ocean, part of the longest mountain range in the world. In the North Atlantic, it separates the Eurasian and North American Plates, and in the South Atlantic it separates the African and South American Plates. I've "watched", and reported on, increasing activity in the Mid-Atlantic Ridge over the 22 years Crystalinks has been online. Earthquakes have slowly gone from 2.3 -> Thursday's 6.7 earthquake and will continue to increase exponentially until the end of the hologram. In End Times, the Mid-Atlantic Ridge is rising up, rupturing the Atlantic plate. Psychically, I've watched this for years. 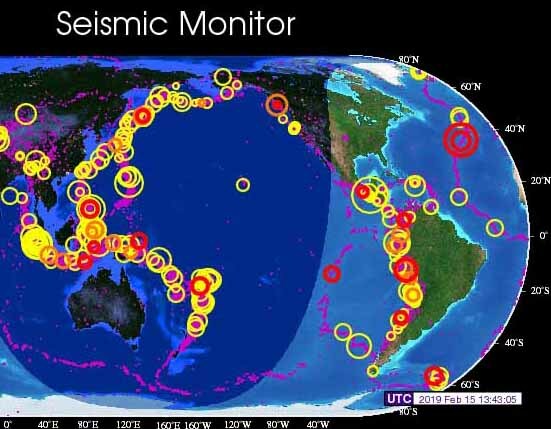 The result is increasing earthquake activity along the Atlantic seaboard creating unexpected earthquakes and, as with the Pacific plate, future tsunamis, and other Earth shattering events. 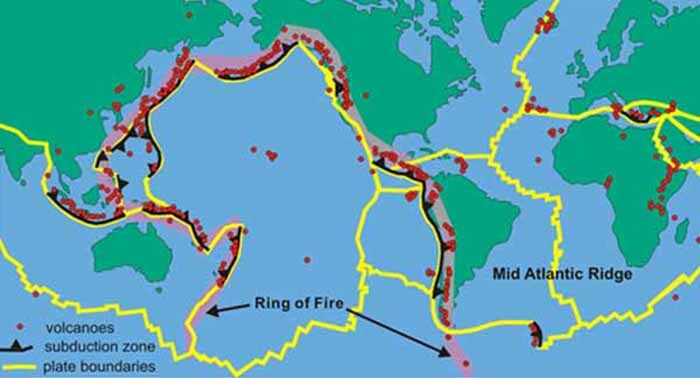 Most people know that the Pacific plate is breaking up particularly those who live along the Pacific Rim where seismic events are the norm. You have watched the increase of earthquake and tsunami activity now predicted to accelerate in 2018 as the Earth's rotation slows. There is no skirting the issue that when plates rupture (interesting that my auto-correct typed "rupture" as "rapture" ) - it will contribute to massive Earth changes especially along coastal areas. Breaking up ... So many things in this reality are broken, I could blog about them forever and most likely will. You already know they extend from our personal experiences to the end of the holographic universe and back ... FADE TO BLACK ... HOLOGRAM DISSOLVES. For now, my plants and I go about our day with the knowing we are part of a simulation that is about to end.